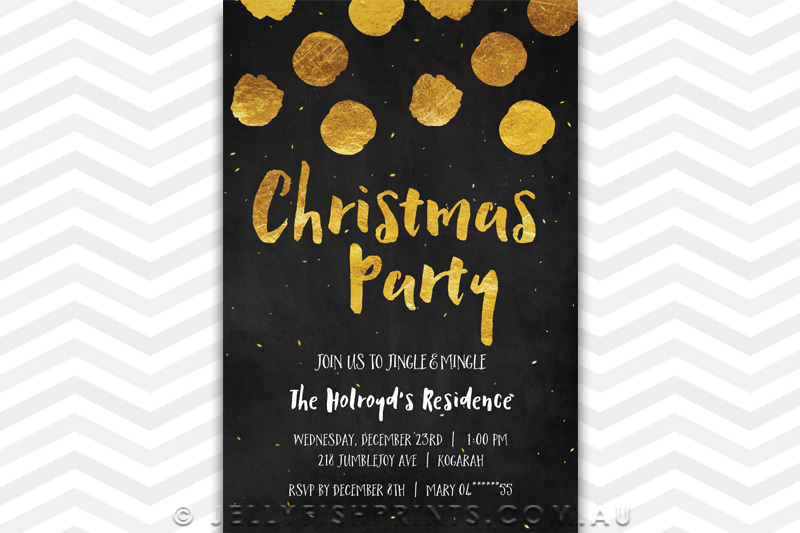 Join us to jingle and mingle with this black Chalkboard Christmas party invitation with Gold confetti and spots. Your printable party invite colours can be changed to black and silver and then printed at your local photo lab. 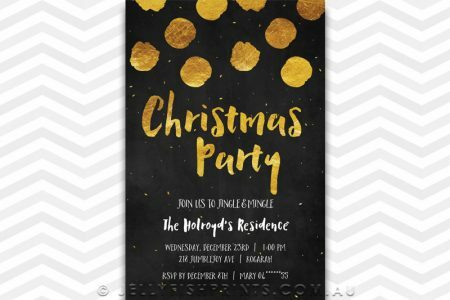 Our glamarous Christmas Party invitation design is set on a blackboard background with gold foil spots in the top half of the invitation. Gold or silver confetti is scattered all over the card. Your wording will appear below in white. Your printableChristmas Invitation design will be personalised with your information and photograph if applicable.